I hope you are all doing well and are having a fabulous week so far! Welcome to #blogmas day 9 and a more lifestyle aimed post. I was recently contacted by Alpro to get involved with their #alprotops campaign. 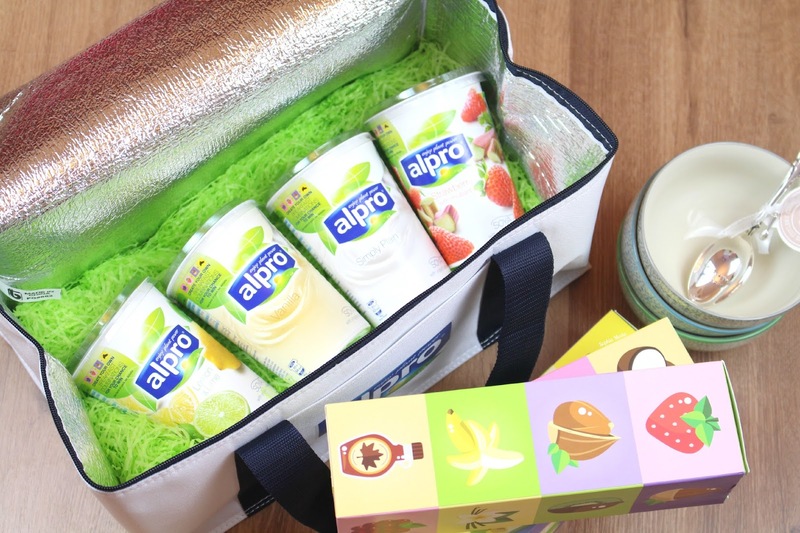 I literally jumped at the chance as Alpro host some of my favourite weekly shop items but also the campaign seemed really fun. I am on a health kick at the moment - well at least trying to be so these Alpro Tops are great yogurt alternatives that are super healthy and very delicious. 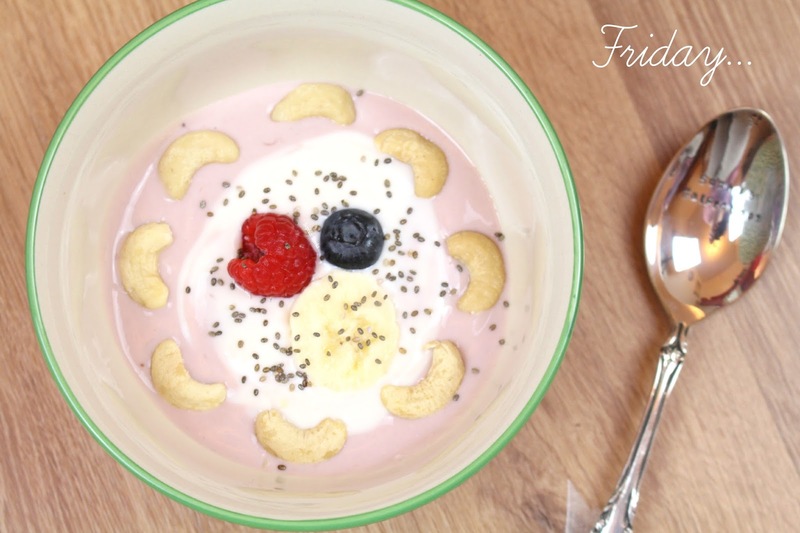 #alprotops is all about getting creative with your breakfast using Alpro's Big Pot alternatives to yogurt as your blank canvas in the morning or even as a healthy snack. 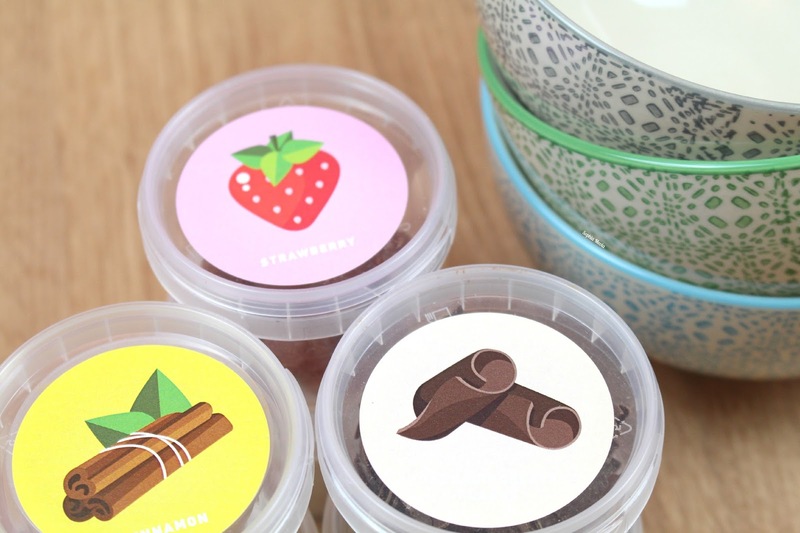 At the moment there are four different Big Pot flavours to choose from - Simply Plain, Vanilla, Strawberry with Rhubarb and Lemon & Lime. 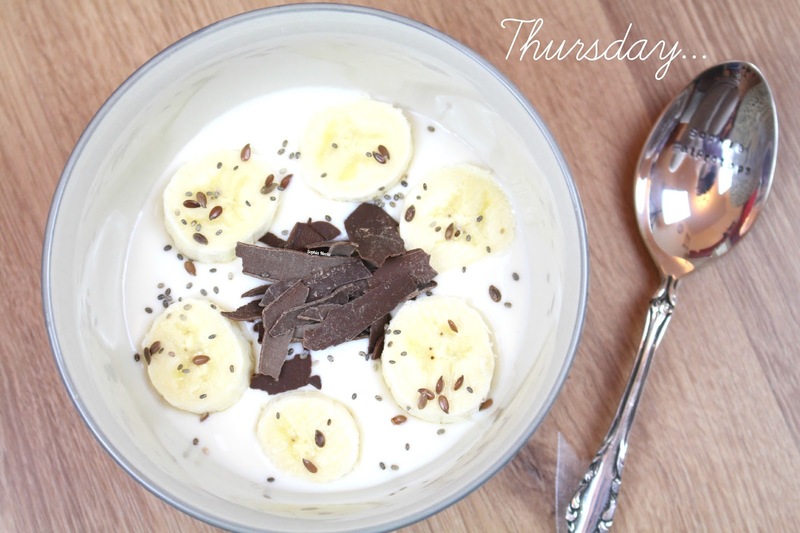 Alpro challenged me to create a different #alprotops topping combination everyday for five days and experiment with the Alpro Big Pot's and toppings that came in my Alpro goodie box. 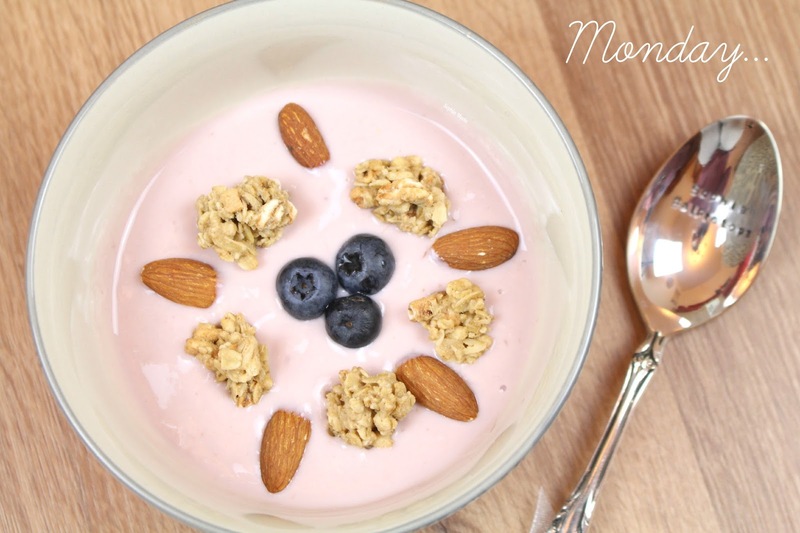 From nuts to berries, spices to seeds, they are encouraging the public to put a healthy twist on your yogurt. Additionally, I went out and picked up a few other ingredients to keep on hand to use throughout the week. These consisted of some Bananas, Raspberries, Blueberries and my favourite Nature Valley Oats & Honey Protein Granola. What I really love about the Alpro Big Pots is that they are 100% plant-based and a source of plant protein. They are naturally low in saturated fat, naturally lactose free, gluten free, contains calcium and vitamins B2, B12 and D - and still taste scrumptious! Monday; I started off Monday morning with the Strawberry with Rhubarb Big Pot and placed a selection of Almonds, Blueberries and some of my favourite Nature Valley Oats & Honey Protein Granola. The mouth-watering Strawberry with Rhubarb is made with the juiciest strawberries and seasonal rhubarb, blended perfectly with Alpro's soya alternative to yogurt. Tuesday; As I had the Strawberry with Rhubarb Big Pot opened, I decided to mix a dashing of it with Vanilla and I loved how it turned out. I then placed a selection of Blueberries and Raspberries with a sprinkling of grated Coconut. Wednesday; I decided to give the Lemon & Lime Big Pot some attention. I think this day I got the most creative and threw in a whole load of different bits and bobs. To the Lemon & Lime I placed a selection of Dried Strawberries, Nature Valley Oats & Honey Protein Granola, a dash of the Granola that Alpro sent me and a sprinkling of Chia and Flax Seeds with a Raspberry to top it all off. 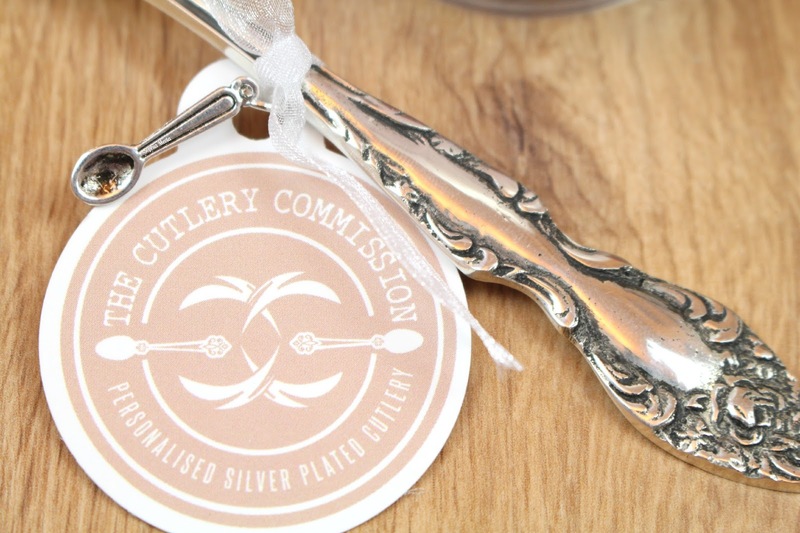 The Lemon & Lime flavour has such a lovely zesty citrus taste to it. 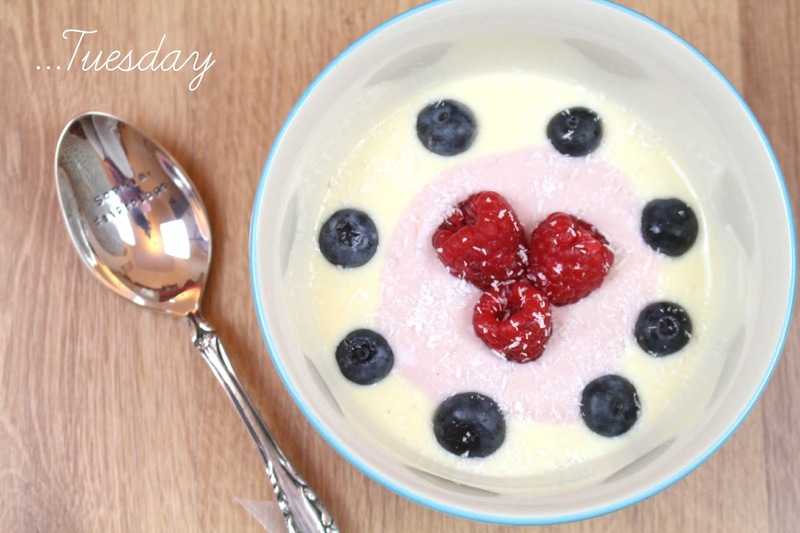 Alternatively, this would make a great alternative to any homemade smoothie or cheesecake recipe! Thursday; When I woke up on Thursday I had the biggest craving for Banoffee. Instead of indulging I decided to use that craving and transform it into a healthy breakfast. I decided to crack open the Simply Plain Big Pot and add a Banana with a mountain of Chocolate Flakes with a sprinkling of Chia & Flax Seeds for good measure. Friday; To be honest Friday was a bit of a hit and miss as I decided to use a most of the toppings that I had opened throughout the week. I decided to mix two different Big Pot's like I did on Tuesday; I decided to use Strawberry with Rhubarb and Simply Plain. I then placed a ring of Cashew Nuts and then a Blueberry, Raspberry and slice of Banana to the centre. I was actually eating a Banana on the side so I decided to use a slice of it for some detail - thank Pinterest for that haha. I then sprinkled some Chia Seeds to finish it all off. Overall, I really enjoyed getting involved with the campaign, getting up every morning and being a little more creative with my breakfast than usual. 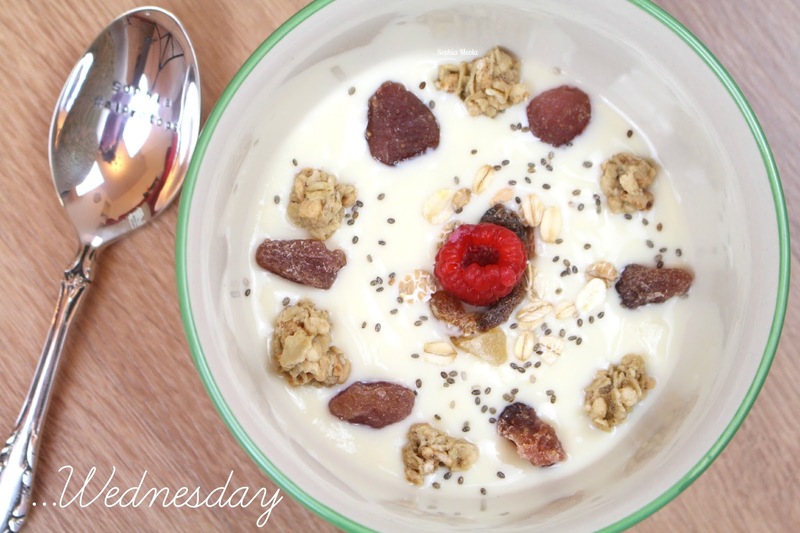 After a full week of munching on the yummy goodness above and going to the gym I felt so much better in myself - at the end of the day it took the same amount of time to put these breakfast ideas together as it would making a bowl of cereal in the morning. I am not sure if I could pick just one favourite as I really enjoyed them all so I will let YOU decide haha (I am so indesisive)! I would definitely repurchase all of the Alpro Big Pots and experiment even more with the remaining toppings they sent me. I will be posting all of the above breakfast ideas over on my Twitter, Facebook and Instagram. 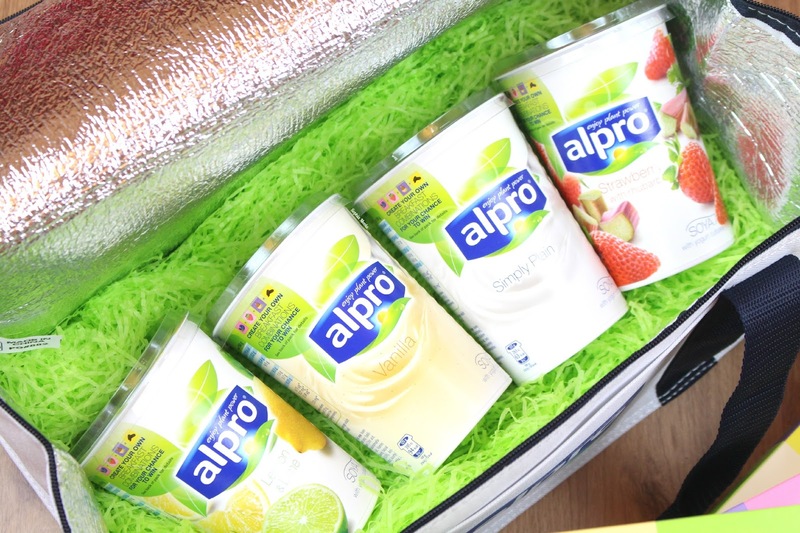 If you would like to get involved with the challenge you can do so by checking out the Alpro website and all social media platforms with the #alprotops hashtag. 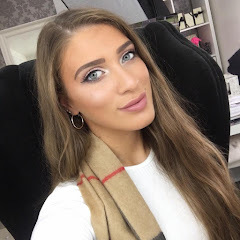 I hope you all enjoyed this post - I loved getting involved in something more lifestyle for a change - I love mixing it up over on my blog! Like always lovelies, if you have any questions, requests or if you just want a chat you can contact me on my social media or leave me a comment below. I love hearing from you all and I make sure to read every single comment…they really make my day! This looks like fun! 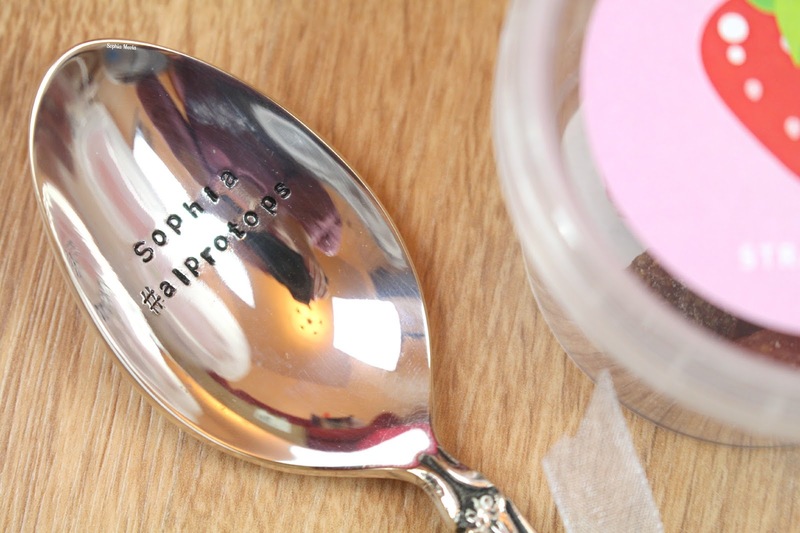 would love to try doing this for a week, loving the spoon! ive only tried their hazelnut and almond milk. 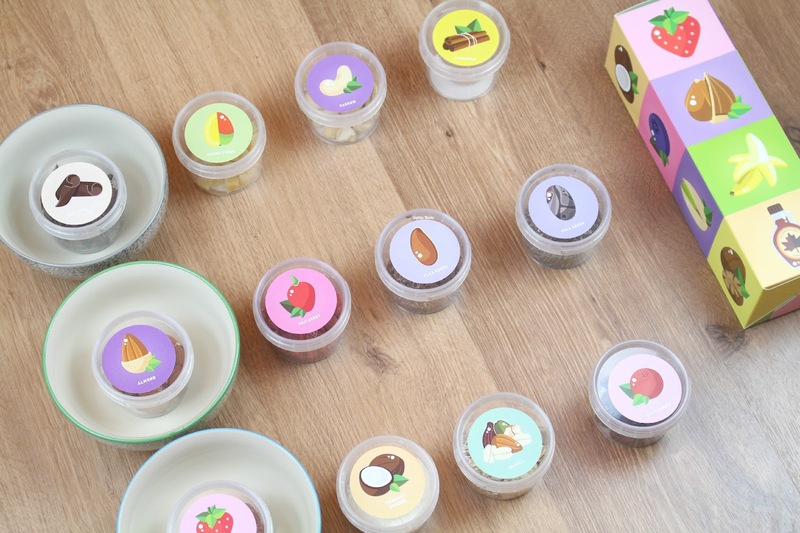 i want to try their yoghurts but my closest tesco express doesn't sell them. booooo :( i need to have a tub at work! 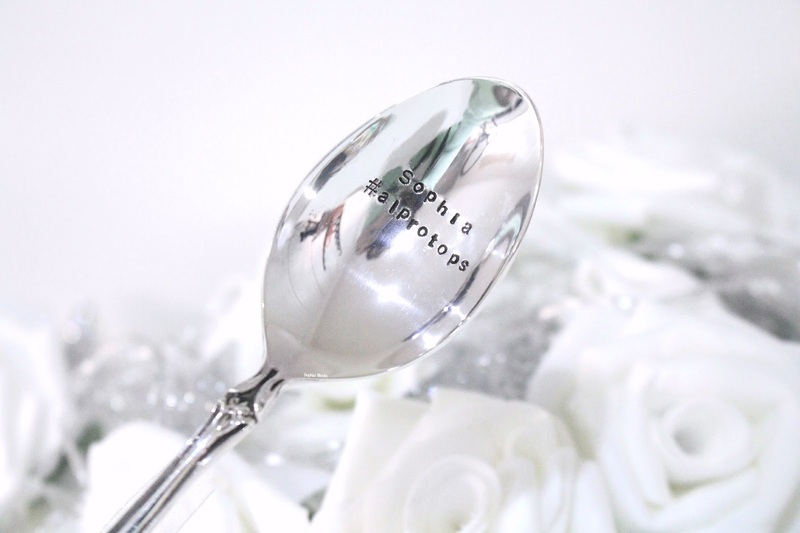 OMG I need that spoon in my life! haha!! I love yogurt! Wanna try these!! This makes me want to eat breakfast all day !